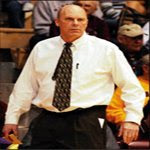 DON MEYER: "Get with a head coach who possess good qualities of integrity. A man who is a servant leader and cares and can make life a great adventure. Learn all you can and you'll learn much more when you're a head coach." Over 15 years ago I wrote a book titled "The Art of Being An Assistant Coach." As part of writing that book I surveyed over 35 head coaches. The quote above was one that I took from Coach as his advice to assistant coaches. I have been fortunate to have worked for a few coaches that have lived up to that guideline -- I am even more fortunate that I've had a mentor in him that has lived up to that as well. "Belichick's general defensive philosophy was simple. that they are uncomfortable with." "When you're just starting out, it's better to make peanuts for a great leader than it is to make some big salary from a mediocre one." "But one of the biggest mistakes I see young coaches make -- and young businessmen and doctors and lawyers, too, for that matter -- is thinking their first job should make them rich or famous." "Good organizations matter. Good bosses matter." "If you want to become a great leader, you need to prepare yourself to become a great leader, and the best way to do that is to study great leaders." Goal: Force at least 2 passes when offense has the numbers. Don’t allow a skip for a 3 or drive in transition. Will front the LP always, even if the low post takes a step off the lane. Main defensive objective: Get 5 guarding the ball! Down Screen...trail all cutters — no sliding through. First Rule: Don’t get screened! If you are constantly getting screened you are not going to be able to play for us. Jump hard to the ball...stay in stance. OSU likes bubble to work on rebounding. In transition defense, OSU teaches to run the lane — vs. Shooter, run to the shooter. Three everyday choices: So what leads to everyday greatness? The Choice to Act: The first choice we make each and every day is, Will we act upon life, or will we merely be acted upon? The Choice of Purpose: But plenty of us have made the choice to act, only to find that we made poor choices—choices that turned out to be of no value to ourselves or to others, some perhaps even harmful. So, alone, the choice to act is not sufficient. And so the second choice we make each and every day is of great significance: To what ends, or purposes, will our daily choices lead? We each want to be of value—to know our life matters. The Choice for Principles: But, of course, none of this happens by magic or luck. While I believe in the power of positive thought, I do not believe that you or I can simply psyche ourselves into success or peace of mind. Rather, enjoying a life rich in meaning and progress—a life of Everyday Greatness—comes only as we live in harmony with timeless, universal principles. And so the third choice we make each and every day is, Will we live our lives in accordance with proven principles, or will we suffer the consequences of not doing so? 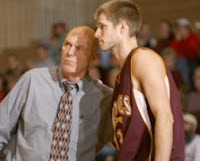 DON MEYER: "Sometimes you have to whisper to be heard." This was an invaluable lesson for me who as a coach thought a loud voice was the only way to communicate. From talking to Coach I learned that it was important to understand the player and the circumstance in order to best know how to communicate. It goes along with another one Coach's favorite lines: "It's not what you say, it's what they hear." #1 Are we getting to the free throw line. Most free throws wins games. Remember, game in the paint doesn't always mean low post play. Dribble Penetration is big. #2 How many offensive boards do we get. You can't send 4 to the offensive boards against good rebounding teams. At Memphis we sent 2 1/2 to the boards. Rule: if perimeter player shoots in the paint, he goes tot he glass. Rule: if a forward shoots outside the paint, he gets back on defense. Transition defense starts on the offensive boards. #3 Did you get high percentage shots for your best players. This is the first question I ask after each game. Best players can only shoot a high percentage in two of three areas (wings & top). The true test of an offense is that it can get good shots for their players where they hit the shots. One of my greatest privelages as a coach was to work with Sue Gunter. She was an outstanding teacher, a tremendous coach and a wonderful friend. I learned so much from her that I am currently working on a book about those lessons. From time to time, I'll share some of them with you. Attitude was a big part of her teaching philosophy. She demanded of herself and her staff that we were positive teachers. Certainly that doesn’t mean that on the occasions that merit it, that she didn’t raise her volume and display her displeasure. In fact, she could dissect a team with precision if they were not concentrating or executing. However, the difference with her over many coaches is that she would immediately begin looking for positive things to compliment after she ripped a team. It was the same after a loss. Coach Gunter would let the team know in no uncertain terms that she was upset with their performance. More importantly, as a master teacher, she would detail the areas that we were lacking. The next morning, however, in our post game staff meetings, she would always make sure to let our staff know that we were going to be positive and uplifting with the team. Her theory that she rode to great success was to instill confidence in her teams and this would start with a positive practice. She wanted to correct and construct...not criticize. As a note, we don’t believe that you should need more than three dribbles in the women’s game to achieve any of these dribble maneuvers. We also don’t allow any dribbles that would have your back to the basket. We want all dribbles to be under control and for the dribbler to maintain vision so they can see the cutting and screening action as it unfolds. Passing the ball to an open cutter is not an easy thing to do against a good defensive team. It is critical that the ball is delivered when the receiver is most open and for that to happen, the ball handler must be in a position to see. The following is from Dr. Kevin Elko's book "Nerves of Steel." Dr. Elko is one of the nation's most sought after sports pyschologist and has worked with some of the top professional and collegiate sports programs. I first learned of Kevin through his work with Nick Saban and the LSU football team during their run for the 2003 National Championship. We later put him to work for our women's basketball team and he played a tremendous role in our team reaching the 2007 Final Four -- so much that our team voted to give him a Final Four ring. This will not be the last time I quote Kevin! "If we satisfy four important needs, we can add meaning to our life. The needs are (1) to have purpose, which would include devising goals; (2) to have value, which would include our morals and ethics; (3) to feel effective, capable, or in control, and (4) to have self-worth, or to find a basis for feeling positive about our lives." DON MEYER: "You don't shoot fast, you get ready to shoot fast." One of the absolute keys to becoming a better shooter no matter what your skill level is in that fundamental is shot preparation. It's about showing your hands and getting you feet set -- long before the ball arrives. We have all coached shooters that shoot well when left open, but the key to great shooter, the shooter that can knock down the shot in traffic, is that they have done all the work to get ready to shoot before they catch the ball. George Allen was an outstanding football coach in the NFL. One of the best books I've read on coaching is Strategies For Winning by Coach Allen with Mickey Herskowitz. It's currently out of print but you can occasionally find one at a used book store or on ebay. Here are a couple snipets. 4. Basing everything on winning and how badly you want to win." 1. The coach and his staff's abiltiy to present information and procedures. 2. Enthusiasm for coaching players and hard work. 3. The use of educational materials, teaching devices, visual aids to make meetings more effective. 4. A businesslike manner on and off the field. 5. Allowing opportunities for members of the team to contribute ideas for practice and game plan." "No detail is too small. What we are doing is getting us closer to our objective -- WINNING!" "Talent alone is not enough. I had some of the most talented players, but they didn't work hard. I like people who are enthuisastic if it rains; they can find something positive in a storm." "The tougher the job, the greater the reward." "I tried to ask myself this question: what do you really want to accompolish? This is the key question to ask before every morning." "Try not to do too many things at once; know what you want, the number 1 thing today and tomorrow. Persever and get it done. Too often we make things more complicated than they are." 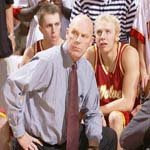 DON MEYER: "You feel important when you're coaching your team. Put a shell around them and protect them." No question that coaches understand what this means. It's yet another reason we all continue to pray for a speedy recovery for coach. His team needs him, no doubt -- but he needs his team as well. Protect them does not mean shelter them. It means to teach them. Expose them to those things that will not only make them better players but better people. And expose them with your giudeance. Coaches are like training wells on a bike for young players. As they advance, if we have taught them properly, the training wheels can be removed and they will be able to enjoy a nice ride -- even if there is an occasional bump in the road. I believe will all my conviction that all coaches should read as much as they possibly can when written by John Maxwell. He has been a staple in our LSU program over the past six years. The 17 Essential Qualities of Being a Team Player is a book that we assigned to our team to read during during the 2003-04 season. And we did more than that -- we also created work sheets and discussion meetings for them to make sure that we soaked in the messages from the book. Right out of the blocks the book talked about “Adaptability” and how team players are flexible. As Diana Nyad said, “I am willing to put myself through anything; temporary pain or discomfort means nothing to me as long as I can see that the experience will take me to a new level.” This proved to be the perfect section for our team to read to start the season. #4 Communicative…”It’s also about communication. Talking to each other. We forced the kids to spend time with each other to find out things about each other.” This quote came from Coach Herman Boone. You will recognize the name if you watched the movie Remember The Titans. Coach Boone is the legendary coach that brought the segregated football team together at Williams High School in Virginia. #5 Competent…”People forget how fast you did a job — but they remember how well you did it.” — Howard W. Newton. #9. Enthusiastic…”People can succeed at almost anything for which they have enthusiasm.” — Charles Schwab. #10. Intentional…”You’ve got to think about ‘big things’ while you’re doing small things, so that all the small things go in the right direction.” — Alvin Toffler. #11. Mission Conscious…”He who has a ‘why’ to live for can bear almost any how.’” — Friedrich Nietzsche. #12. Prepared…”Spectacular achievements come from unspectacular preparation.” — Roger Staubach. #17. Tenacious…”To see far is one thing; going there is another.” — Constantin Brancusi. DON MEYER: "It all starts at the top. If starts with me. If my kids are soft, then I must be soft." This lesson from Coach can be summed up as saying that we as coaches are responsible for the make up of our team. Some coaches are quick to point out that their team is soft, not mentally tough, not fundamentally sound, not intelligent -- a whole liteany of reasons that their team is struggling. But the bottom line is that they must first look in the mirror. 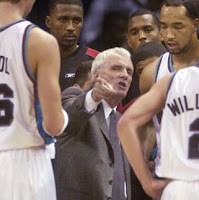 On the collegiate level, I always feel that our coaching staff is responsible for any short coming on the court. Did we TEACH them well in practice? Was our practice structure conducive to their improvement? Did we give the proper thought to practice in terms of preparing them? Was there the necessary combination of conditioning and rest? Did we PREPARE them well throughout the process? Did we give them the information they needed to understand their goals, roles and objectives? Did we insure means of motivation to gain maximum effort? Did we COACH them well in the game? Was our game plan correct and if not, did we have a solid back up plan? Were the adjustments and substitutions made in such a way to assure success? In late game situations, we were properly prepared -- did we put players in position to do what they can and to avoid that which they cannot? In some cases a staff can say yes. We did teach...we did prepare...we did coach but we still failed. If this is true, then it comes back to RECRUITING -- and once again we as coaches are responsible. For coaches in the Tennessee area, Jim Boone of Tusculum College is putting on his 22nd Annual Free Basketball Clinic on October 19. Besides practice, Coach Boone will delve into the details of his Pressure Pack Line Defense. I have two thoughts here. First, Jim is one of the best teachers in the game and the chance to observe and learn from him is a great opportunity. Second, the Pack Line Defense is a good way to defend if you are short on athleticism, size and or depth which is the majority of us. Below is a link with more information. "Whatever you believe with conviction becomes your reality." "Belief creates the actual fact...The greatest revolution of my generation is the discovery that individuals, by changing their inner attitudes of mind, can change the outer aspects of their lives." Last night in Los Angeles, the LSU backcourt of Temeka Johnson and Marie Ferdinand guided the Sparks to an 85-70 victory over San Antonio in the first round of the Western Conference Finals. Meek, scored 14 points on 6 of 9 shooting (including 2 of 3 from behind the arc) along with 8 assists. Marie also tallied 14 points on 5 of 10 shooting and 4 of 4 from behind the free throw line. She also had 4 reboundings, 2 assists and 2 steals. DON MEYER: "Learn to handle winning because success can destroy you easier than failure." This is probably one of the most important lessons you can learn if you are interested in your program sustaining success over an extended period of time. The biggest battle of those individuals or teams that taste success is that of complacency. Coach Meyer often talks about treating today as if you'd lost last night. There is nothing like defeat to awake your competitive spirit. Their is a heightened sense of urgency on the heels of failure. If you as a competitor can tap into that intensity and level of concentration and commitment consistently after victory, than you truly have an opportunity to be the best you can be. "The general who wins a battle makes many calculations in his temple before the battle is fought." While Coach Meyer continues to recover I've decided that I will start each day by listing something that Coach has taught me during our 15 year friendship. I have five three-inch notebooks filled with notes I've taken from spending time with Coach so these "thoughts" may last even past his recovery -- which we should all pray for a speedy and successful one. COACH MEYER: "It doesn't matter where you coach, it matters why you coach." This is a thought that speaks to every coach on every level. It puts the focus back on the young people that we are developing on and off the court as well as our responsibility to the community in which we live, the institution in which we work, the profession for which we represent, and to the game of basketball. The first screen we will discuss is the Down Screen. Some more terminology that we will use with our team is to “look below you to screen.” This translates into if you are up top on the perimeter and there is another player on the perimeter on your side, you are in an ideal situation to screen. We especially like for our high post players to “look below” to screen. To set a down screen, we want to again use a v-cut movement. As a screener, we want the first part of the v-cut to be aggressive. We tell our players to make the defense take away the first cut before changing directions to set the screen. The major reason for the v-cut movement is to put us in line for the proper screening angle. On the down screen, we want our back to be towards the ball. We believe this is the screening angle that gives the defender on the cutter the most difficult in maneuvering around. Diagram #1 shows the screener using the v-cut to set up the down screen so that she has her back to the ball. Diagram #2 shows the defender anticipating the down screen so the screen continues to the basket for a return pass and lay-up. While it may be repetitive, we want to again talk of the importance of the screener sprinting to the screen. It makes the screen more aggressive and gives the defense less chance to react. Another phrase that our team hears on a daily basis is that we should sprint to screen, setting the proper angle, and allowing the cutter to come off the screen so cleanly, that another defender has to leave her assignment to help on the open cutter. A final phrase that is often heard at practice in regard to screening is to “headhunt.” This simply is an aggressive term for seeking out the defender she needs to screen. "I didn't realize that Coach (Knight) would keep teaching us those three basic screens nearly every practice day for the rest of my time at Indiana." 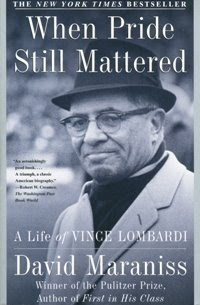 Certainly there can be no mistake that Vince Lombardi was a tremendous football coach. I, like most other coaches, have gobbled up about everything written on Lombardi in a constant quest to become a better coach. Regardless of the sport, a good coach is a good coach – a good teacher is a good teacher. However, in my readings on Lombardi, I fully believe that had he coached basketball, he would have undoubtedly been a motion coach. The Green Bay Packers were known for many things under Lombardi including toughness, fundamentals, and execution – but they will long be remembered for the Packer sweep. What you may or may not know is that Lombardi designed the sweep with precision blocks (screens) and taught his backs to hit the first open hole (cut) and what became known as “run to daylight.” Unlike traditional football plays that call for running backs to run the ball into a specific hole, Lombardi taught his players to make reads by what the defense gave them. Another perception by Maraniss showed that Lombardi ran a system that taught players to think and they he had a great grasp in role development by involving the entire team in the success of the sweep. taken from "The Art of Motion"
I think an extremely important trait for successful coaches is that of flexibility. In believing that, I would first start with a system of play. The fact that we have primarily played man to man defense at LSU over the last decade would make one think we have only played one way defensively when in fact we have given our opponents a variety of looks. By having a flexible defensive system we can adjust where we pick up the ball...how far do we extend in the passing lane...how are defending screens...how are we going to defend the low post. By having a flexibile system of play you can determine the best way to play. By being stubborn in a strongly defined way of playing you can often paint yourself in a corner. Of course that's not to say that you don't have some fundamental principles to anchor your play to but as John Wooden said, "Be more interested in finding the best way, not just in having it your way." We have pinpointed twelve areas that are important to our man to man defensive attack. They are areas that we try to touch on daily in our practices in some form of drill. We refer to these as the Dandy Dozen of Great Defense. While this book is basically covering the man to man philosophy of our defensive approach, you should note that these same twelve guidelines apply to all of our defenses including our pressing and zone attacks. The Dandy Dozen of Great Defense is printed up in passout form and given to our players early in the season. We expect them to know them. We make sure when we are talking at practice about one of the areas that we mention it as one of the Dandy Dozen. When we watch video, both good and bad clips, we make sure to point out our defensive clips by relating them to one of the Dandy Dozen. This is the overriding principle of our defense. Everything that we do in our defense is designed to stop the basketball. The way we defend the basketball, the way we contest the passing lanes, the way we deny the low post, the way we play helpside, the way we defend cuts, the way we jump to the ball — all designed with the thought of stopping the basketball. Pressuring the basketball in the proper manner effects so much of what we do defensively. It allows us to overplay the passing lane as well as extend our help. 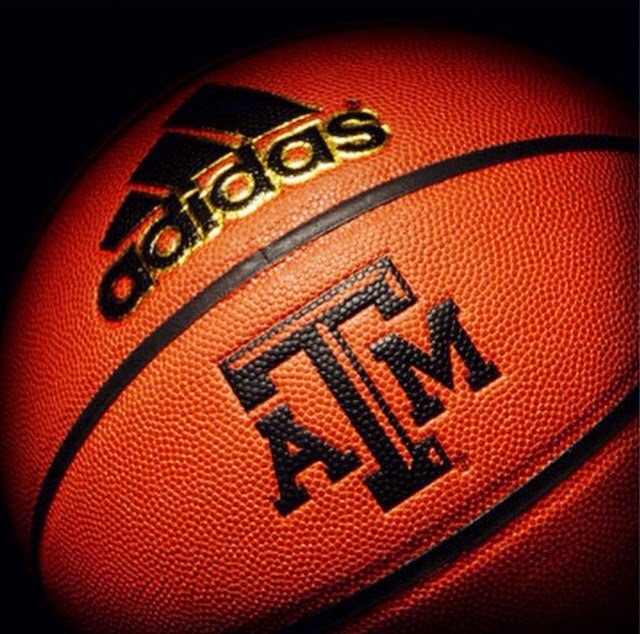 We want to constantly influence the basketball away from the basket. When it is up top, we want to influence it to the sideline. When it is on the sideline, we want to influence it to the corner or back towards the jump circle. We ALWAYS want our hand on the ball. Regardless of whether it is before the dribble, during the dribble, or after the dribble has been picked up. If the ball is passed, we want a hand on the ball. If the ball is shot, we want a hand on the ball. This is a critical part of our defensive philosophy. Anytime the ball is passed, we should have five players jumping to the ball. More importantly, they must be jumping on the airtime of the pass. In other words, we want to begin our movement the instant the ball leaves the passers hand. Too often, a defensive player or team, moves after the receiver has caught the ball — that’s not quick enough. Games are won down on the block. We must be a good low post defending team if we are to be successful. When the ball is above the free throw line extended, we want to 3/4 the low post with our lead foot in the passing lane. When the ball is below the free throw line extended, we want to front the low post. Unless our scouting report says differently, we don’t want to allow any low post touches. We believe this is simply the most dangerous place on the court for the basketball to be. Not only is it in the middle of the court where we cannot establish helpside and ballside principles, but it is close enough to the basket to be shot or driven. Defensively we must be able to anticipate the post flash and contest the pass to the high post. We should have a foot in the passing lane and contest with such vigor that we force the high post player to cut backdoor or extend her cut well beyond the high post area. It is our helpside that makes our defense strong. This does not mean that we want to play in such a way that we are constantly relying on our helpside. In fact, the use of our helpside means that some form of our defense has broken down. The key to helpside is to take away offensive spacing for our opponent. Our opponent should constantly be looking at 3 (offensive players) vs. 5 (defensive players) situation if we are stationed properly. If the ball is above the motion line, we want the helpside defensive player to have 1 foot in the paint forming a triangle with herself, the ball, and the player she is defending. If the ball is below the motion line, we want the helpside defensive player to have 2 feet in the paint, again forming a triangle. Once we have our defense set properly, we want to make sure that we are anticipating situations that need help. We want our help to come early. We don’t want to have to help once the ball is in the paint, rather before it gets to the paint. We don’t think we can help too early, but we certainly can help too late. Another reminder in regards to our help is that recovery is just as important. Help without recovery lessens the effectiveness of the defensive possession. Because of the way we play defensively, we will often force the offense to skip the basketball or pass the ball in such a way that forces our helpside to rotate to ballside. How we closeout will be critically important in our ability to contest shots on shooters as well as how we take away penetration against the drivers. Know who you are closing out on and defend accordingly. The worst thing we can do defensively is to put together a tremendous possession and not finalize it with a good blockout and rebound of the basketball. Treat each possession like a “work week” and the basketball is your “paycheck.” Make contact, maintain contact, find the basketball, and go rebound the basketball. It is vitally important that we do all the previous mentioned steps without fouling. There are three things that we don’t want to give up on defense. One is an open shot by a good shooter. We take this away by putting our hand on the ball when it is shot. The second is to not allow an uncontested lay-up (we will talk about this in #12). And finally, we don’t want to bail out the offense and let them get to the free throw line for easy points. In the proper outlining of our defense, this should be listed first. Before we can play outstanding half-court defense, we must first sprint back and take away easy opportunities from our opponent when they fast break. We must stop the basketball first and make sure we don’t allow any open lay-ups. Next we should make sure that all good shooters are not allowed an uncontested shot. The goal of our transition defense is to force the opponent to play against our half court defense. We will rely heavily on scouting to take our opponent’s out of their offense. It is important for our players to know what our point of emphasis is defensively and for them to understand who they are defending individually. Scouting has been tremendously important to our defensive success and will continue to be. It is our opinion that if you have a set philosophy with each of these twelve areas and work towards refining them each day that you will have an opportunity to become a good defensive team. If we could make this list a “Baker’s Dozen” and add one more, it would be motivation. It is up to you as a coach to sell you team on defense. And not just the individual components of the system but the overall benefits of team defense and how those individual components complete the defense. Selling defense to your team is a daily event — with no days off. We use statistics, video, drills, speakers, and anything else we can think of to stress the importance of defense and how it relates with the overall success of our program. If you can get your team excited about playing defense, and couple that with the Dandy Dozen then you will put a team on the floor that will be difficult to score against. As Coach Meyer continues to recover from his automobile accident, I ask everyone to continue to keep him in his prayers. Now that his left leg has been successfully amputated, the doctors can move forward to treat his cancer and allow him to start his recovery to allow him to return to his team. Yesterday, our team watched Coach's video on "Team Attitude." This has been an annual event for Lady Tiger Basketball for the past 11 years. For our lone senior Kristen Morris, it was her fourth time. His message of team attitude and it's importance to the success of a program have been a common bond in our program over the past decade. I have said this on numerous occasions but I don't know of anyone that has contributed to our sport more in the past 20 years than Coach Meyer. 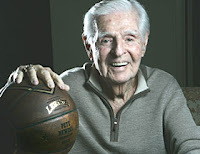 He teaches players on all levels through his camps. He teaches us as coaches through his videos, books, clinics and academy. He is both passionate and tireless in helping us become better at what we do. 1. IT’S PERSONAL...they hate to lose more than the love to win.